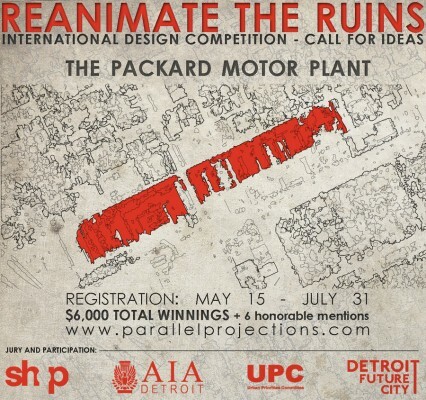 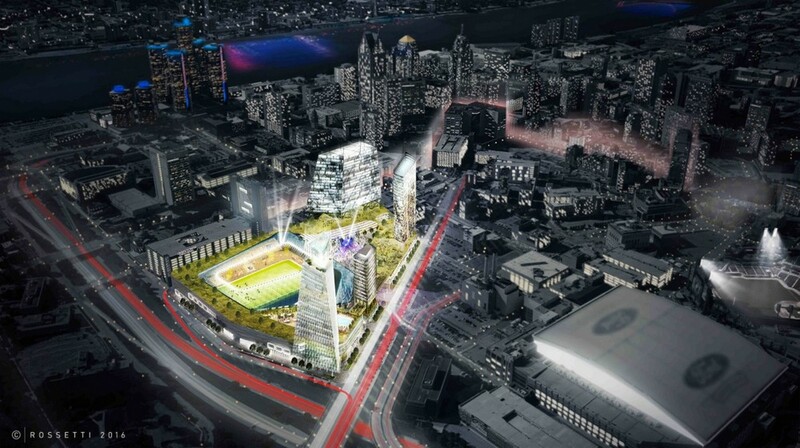 The development, designed by ROSSETTI and proposed by Rock Ventures and Platinum Equity, will mark the main entry point to downtown Detroit, forming a welcoming gateway to the city at the intersection of I-­‐375 and Gratiot. 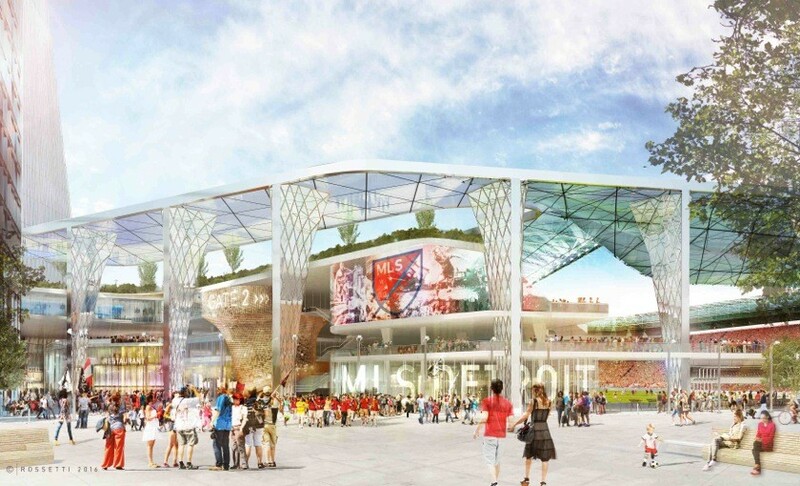 ROSSETTI’s portfolio includes five Major League Soccer (MLS) stadiums – more than any other architecture firm in the world. Detroit, MI – ROSSETTI’s proposal transforms an important area of downtown Detroit into an active and healthy destination for a diverse mix of sports, entertainment, hospitality and retail. 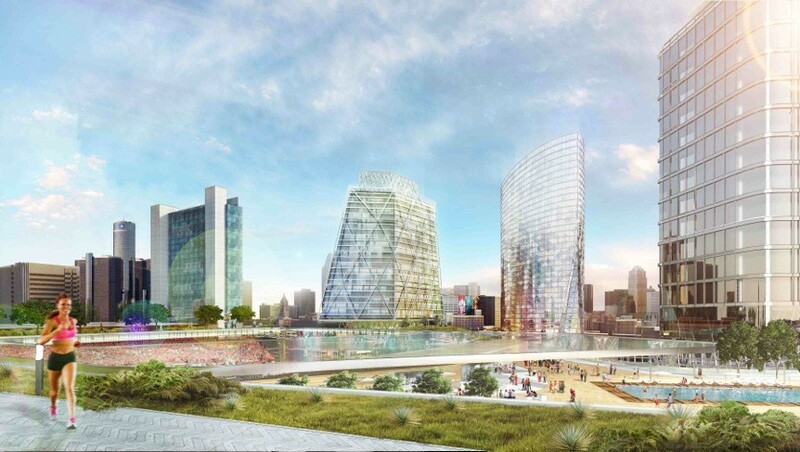 The design reflects a commitment to enhancing the public realm, balancing open pedestrian space and connectivity to adjacent areas and creating a world-class urban environment for the city. 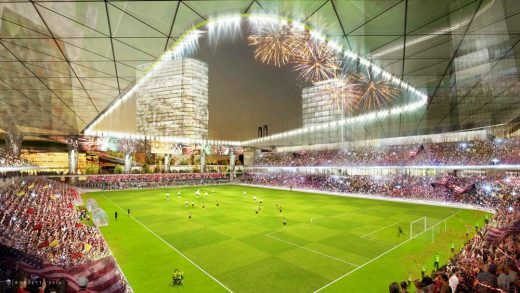 Detroit Pistons owner Tom Gores and Cleveland Cavaliers owner Dan Gilbert, with the acknowledgement of MLS Commissioner Don Garber, commissioned ROSSETTI to develop the plan.